What began as a usual mid-afternoon dog walk around the neighborhood today turned itself into a great way to say, "TGIFriday!" The day was a beauty with a warm sunny sky and a gentle spring breeze so my dog Valentino and I took full advantage on our walk. As we ended a long walk via the alleyway we saw a friend working on his motorcycle with his dog alongside him. Naturally, Valentino wanted to drag me over to say hello. 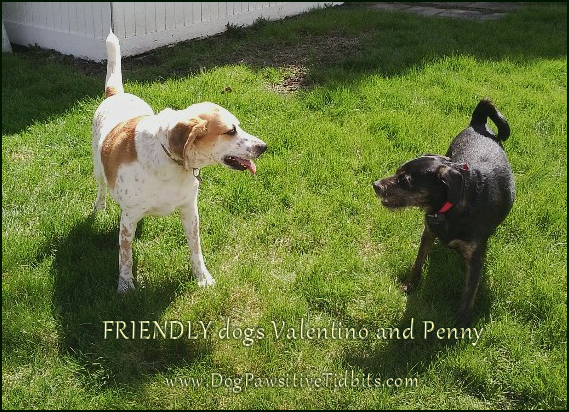 We then invited ourselves into the fenced yard so Valentino could play with Penny off-leash for a bit. 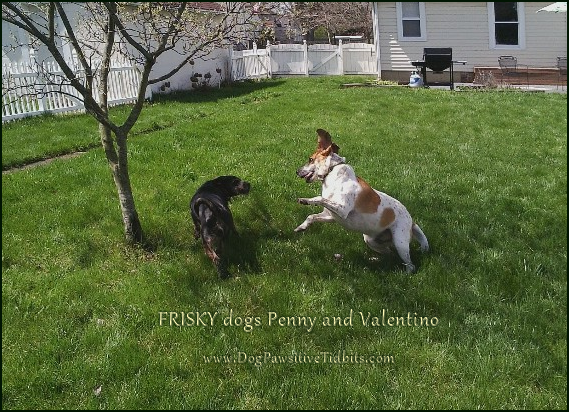 Valentino had a great time and the two dogs got along just fine -- in the friendly, frisky, and fun way that dogs do. With today being my first day off after six days from work, my plans were to stay close to home and spend it with my dog Valentino. This dog has spent more than a tidbit of time home alone this week and I am trying to make that easier on him with a lot of extra dog walks, visits to the dog park, and special dog treats. 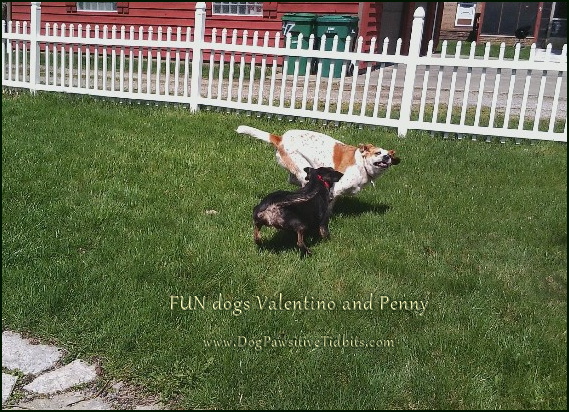 All in all, it has been a fabulous Friday for both me and Valentino. 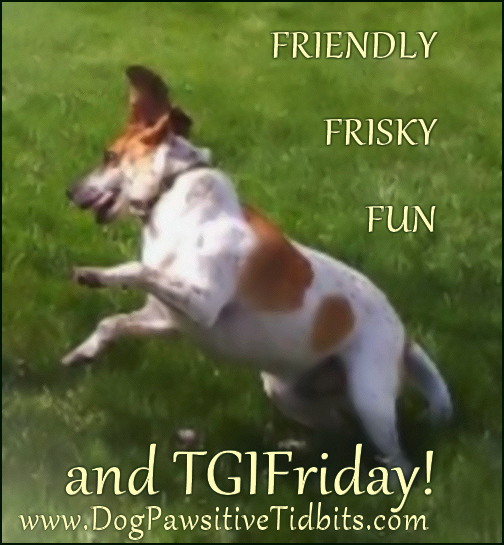 How did you say TGIFriday? 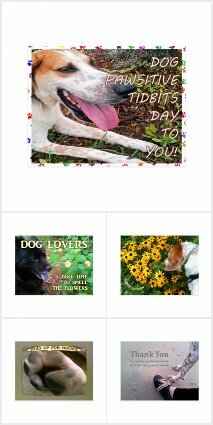 Ruth Cox is an associate of Amazon and may earn from purchases made through links in this article. Thank you!